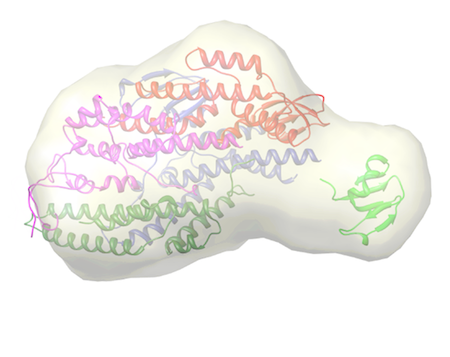 We apply molecular and structural biology tools to study the basic genetic processes within the cell and to characterise some of the proteins involved. 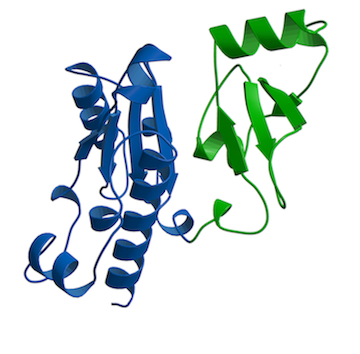 Structural biology is an interdisciplinary research area, requiring expertises from both the life sciences and the physical sciences. 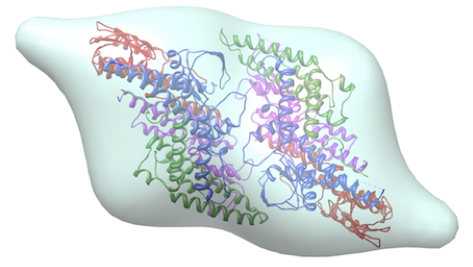 We use protein crystallography to determine the atomic structure of these proteins, as well as biochemical and biophysical approaches to understand how they work. 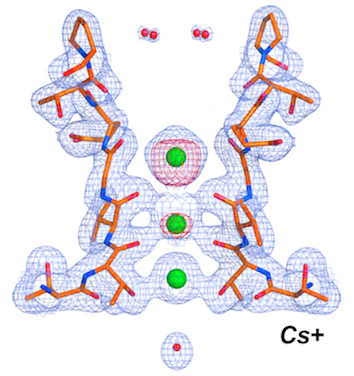 Crystallographic studies are complemented by the concomitant use of electron microscopy to visualise the architecture of large complexes and/or small-angle X-ray scattering (SAXS) to obtain additional structural information. 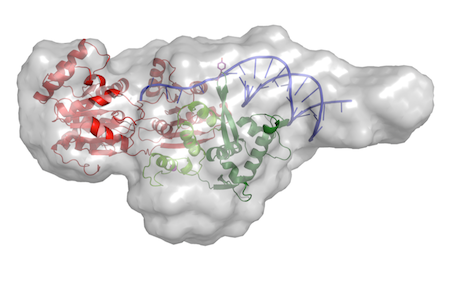 Our research focus on DNA replication, genome stability and cell signalling. 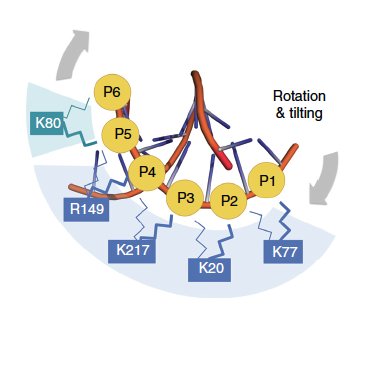 These are crucial events in the cell cycle, underpinning cellular processes with important consequences such as cell proliferation and genome stability. Failure to control these processes causes chromosome instability, which can lead to the development of cellular abnormalities, genetic diseases and the onset of cancer. 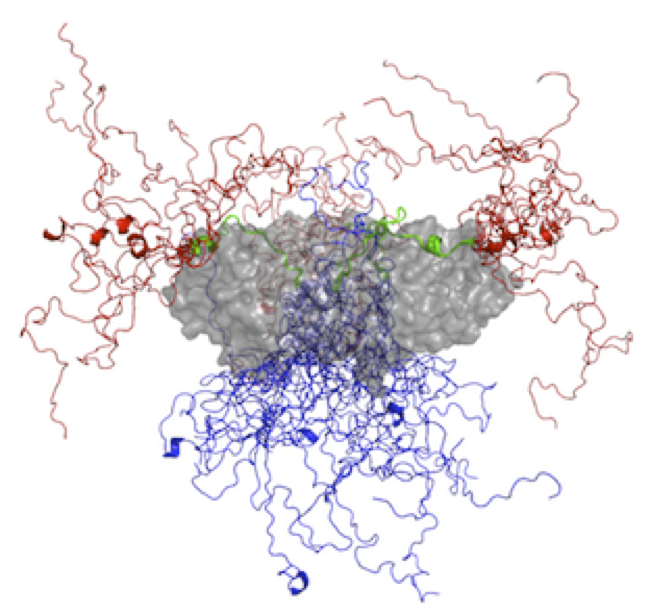 Biophysical approaches to macromolecules and cells: integrated tools for life sciences and medicine. ICTP Advanced School in cooperation with the Nelson Mandela African Institution of Science and Technology (NM-AIST), 9-20 September 2019, Arusha, Tanzania. Directors: L. Casalis, A. Mohammed Khaled, L. Kikuri, A. Hassanali, M. Nkuoa Ngavuoka, S. Onesti, D. Shadrack. 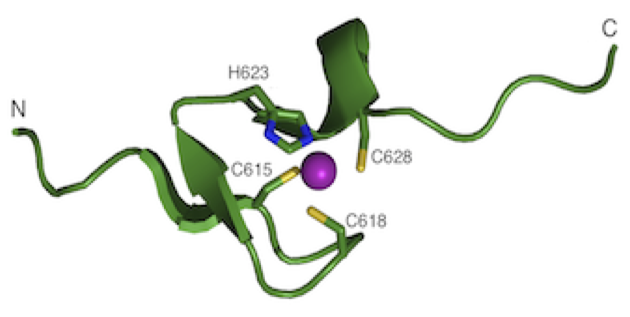 Two postdoctoral positions are now available within the TRANS-GLIOMA project, to carry out structural and functional analysis of proteins involved in gliomas, under the supervision of S. Onesti or P. Storici. 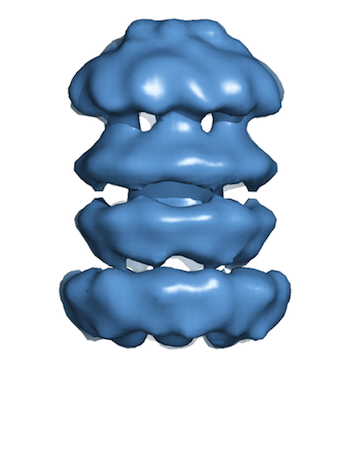 Biophysics & Structural Biology at Synchrotrons. Workshop at the University of Cape Town aimed at introducing young African researchers to the power of synchrotron-based facilities in life sciences, with an emphasis on Structural Biology, 17-24 January 2019. Registration open! New grant to Silvia Onesti: "Understanding the role of RecQ4 in cancer development and progression". Financed by the Associazione Italiana per la Ricerca sul Cancro (AIRC). Congratulations to Alfredo De Biasio who moved to Leicester as a Lecturer at the Institute of Structural and Chemical Biology, starting from December 2017. New grant to Paola Storici and Silvia Onesti: "TRANSGLIOMA: Searching for novel glioblastoma therapies through a translational and transnational platform". Financed within the INTERREG Crossborder Cooperation Programme Italy-Slovenia 2014-2020. Silvia Onesti has been invited by Treccani Cultura to give a lectio magistralis in Rome, on the 14th March 2017. 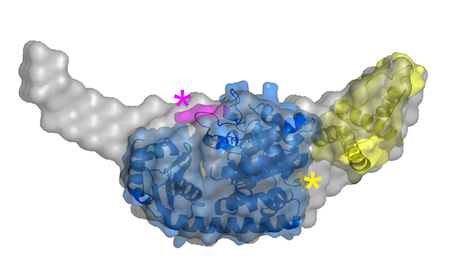 The title of the talk is "Shedding light on proteins: how structural biology can open new pespectives for oncology". The lecture is available on the Treccani website. Welcome to Elisa De Piante, a Master student from the University of Parma who has joined us in March 2019 to work with S. Onesti. Welcome to Antonio Longo, a Master student from the University of Trieste who has joined us in January 2019 to work with S. Onesti. Congratulations to Marco Franzon, and Veronica Delsoglio for successfully defending their Master thesis, at the Universities of Trieste and Turin, respecitvely, December 2018.. Welcome to Simone Pirrello, who has started a PhD in the Joint PhD Programme in Molecular Biology under the supervision of S. Onesti, November 2018. Welcome to Marta Semrau, who has started a PhD at the University of Trento, under the supervision of P. Storici, November 2018. Congratulation to Simone Pirrello for successfully defending his Master thesis, October 2018. Congratulations to Denise Liano and Cecilia Rocchi for successfully defending their Master thesis, December 2017. Welcome to Giuseppe Cortone, who has joined us for a PhD in Neurobiology (SISSA) under the supervision of S. Onesti, starting from November 2017. Welcome to Veronica Delsoglio, a Master student from the University of Turin who has joined us in October 2017 to work with S. Onesti. Welcome to Amaia Gonzalez Magaña, a PhD student from CIC Biogune (Bilbao) who has joined us in August 2017 to work with A. De Biasio & S. Onesti. Congratulations to Elda Osmenaj for successfully defending her Master thesis, July 2017. Congratulations to Alfredo De Biasio for obtaining an extension to the prestigious AIRC iCARE Fellowship, starting from January 2017. Congratulations to Nikolas Capra and Lorenzo Zorzut for successfully defending their Master thesis, March 2017. Silvia Onesti has been a member of the Commission on Biological Macromolecules of the International Union of Cristallography from 2011 to 2017. Nano, structural and single molecule approaches to biology: understanding and handling life at higher resolution. ICTP Advanced School in cooperation with Jawaharlal Nehru Centre for Advanced Scientific Research (JNCASR), 10-17 January 2016, Bangalore, India. Directors: L. Casalis, S. Onesti, M. Prato and C.N.R Rao. 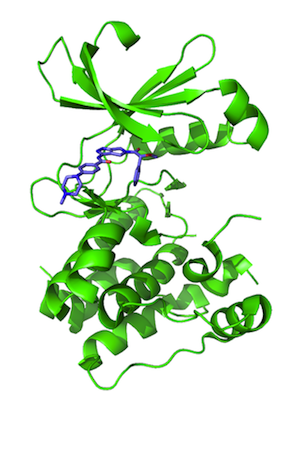 "Shedding light on Proteins" - The Structural Biology laboratory at Trieste NEXT. 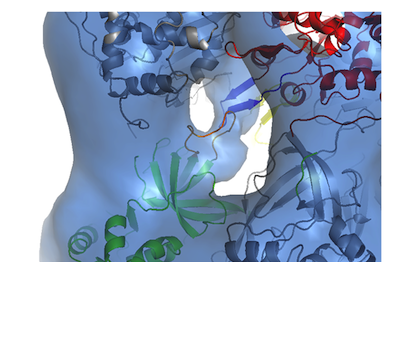 The visitors learned about small and large molecules, protein structure and function, observed protein crystals with a microscope, and play with protein folding, using the videogame Foldit. 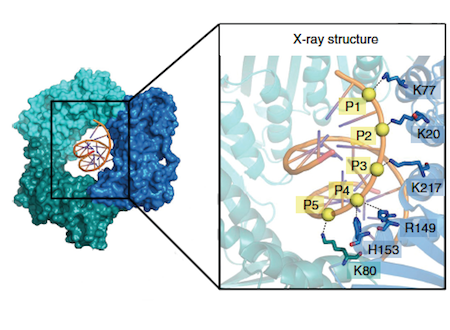 Structural Biology: using Synchrotron Radiation to Visualise Biological Molecules. A joint initiative between Elettra and SESAME. ICTP Advanced School. 15-19 December 2014, Adriatico Hotel, Trieste. Directors: S. Onesti and Z. Sayers. 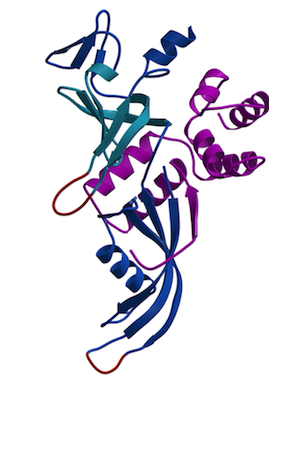 New grant to Germana Meroni (CBM) and Silvia Onesti: "Structure and function of TRIM32, the ubiquitin ligase mutated in Limb Girdle Muscular Dystrophy 2H". Financed by the French Muscular Dystrophy Association (AFM Telethon). 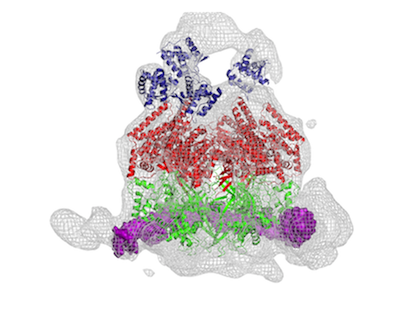 New grant to Silvia Onesti: "The human CMG helicase in 3D: structural and functional studies on the single components and the assembly of complex". Financed by the Associazione Italiana per la Ricerca sul Cancro (AIRC). New grant to Paola Storici, Silvia Onesti and Loredana Casalis: "PROTEO: Cross-border center for protein production for oncological research and diagnostic". Financed within the INTERREG Crossborder Cooperation Programme Italy-Slovenia 2007-2013. Structural biology @ Researcher's Night (Piazza Unità d'Italia, Friday 27 Septenber 2013) The Structural Biology Laboratory (led by Barbara Medagli) will be responsible for a stand at the Researcher's Night, presenting the video game FoldIt: Solve puzzles for Science. Synchrotron radiation techniques and nanotechnologies: a synergic approach to life sciences and medicine. ICTP Advanced School, 11-21 November 2013, iThembaLab, Cape Town, South Africa. Directors: L. Casalis and S. Onesti. 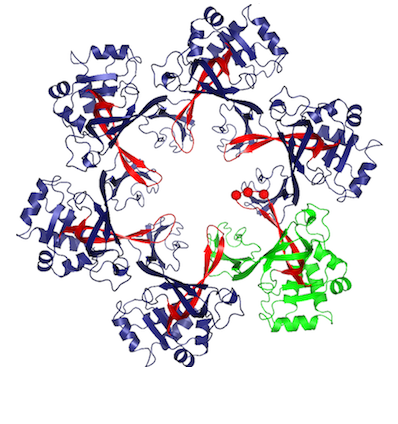 From genes to atomic structures: an introduction to synchrotron-based structural biology. ICTP Advanced School, 23-27 April 2012, Trieste, Adriatico Guesthouse. Directors: S. Onesti and G. Paolucci. The school is a joint initiative between Elettra and SESAME, and aims to introduce the participants to the methodologies used to solve macromolecular structures, using synchrotron radiation single crystal X‑ray diffraction techniques, with particular emphasis on participants coming from countries that are active members of the SESAME consortium. Congratulations to Aditya Mojumdar for obtaining an ICTP TRIL Fellowship, starting in September 2016. Congratulations to Amna Abdalla Mohammed Khaled for successfully defending her PhD thesis, April 2016. Welcome to Ilenia Bagnano, who has joined us as a PhD student in Functional and Structural Genomics (SISSA) under the supervision of S. Onesti and G. Legname, starting November 2015. Congratulations to Aditya Mojumdar and Patrizia De Crescenzio for successfully defending their PhD thesis, April 2015. Welcome to Majid Ali Shah Akhun, a PhD student from the University of Faizalabad (Pakistan) who has obtained an ICTP STEP fellowship starting from November 2014 to work with S. Onesti. Welcome to Luisa Napolitano, who has joined the lab as part of a collaboration between V. Torre and A. Laio (SISSA) and S. Onesti. Welcome to Amna Abdalla Mohammed Khaled, who has started a PhD in Nanotechnology under the supervision of L. Casalis and S. Onesti, starting November 2013. Silvia Onesti has been nominated as member of the International Programme Committe for the organization of the IUCr 23rd Congress and General Assembly, to be held in Montreal 5-12 August 2014. Welcome to Raheem Ullah, a PhD student from the University of Faizalabad (Pakistan) who has obtained an ICTP STEP fellowship starting from Sept 2012 to work with S. Onesti. Welcome to Marta Semrau and Barbara Giabbai, who has joined us to work on the PROTEO INTERREG project with P. Storici. 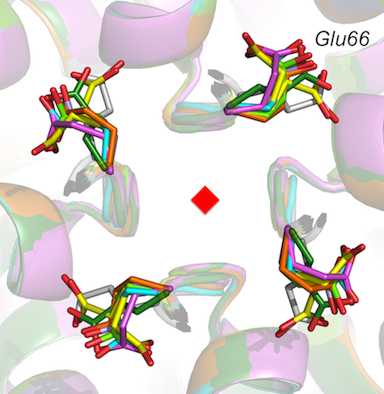 Welcome to Juliano Morimoto Borges, from the University of Cutiriba (Brazil) who has obtained a CNPq fellowship (Science without borders) to join us for a year, under the supervision of S. Onesti (Mar 2012- Feb 2013). 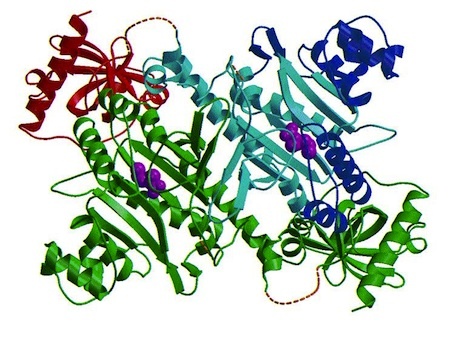 Medhat El-Halawany (Cairo University) has obtained a TALENTS for an International House Fellowship to work on the "Structure and function of TRIM E3 ligases in the ubiquitylation cascade" as part of a collaboration between Germana Meroni (CBM) and Silvia Onesti, starting in November 2011. Welcome to our two new PhD students: Aditya Mojumdar (from India, via Sweden!) and Patrizia Di Crescenzo, starting in 2012.